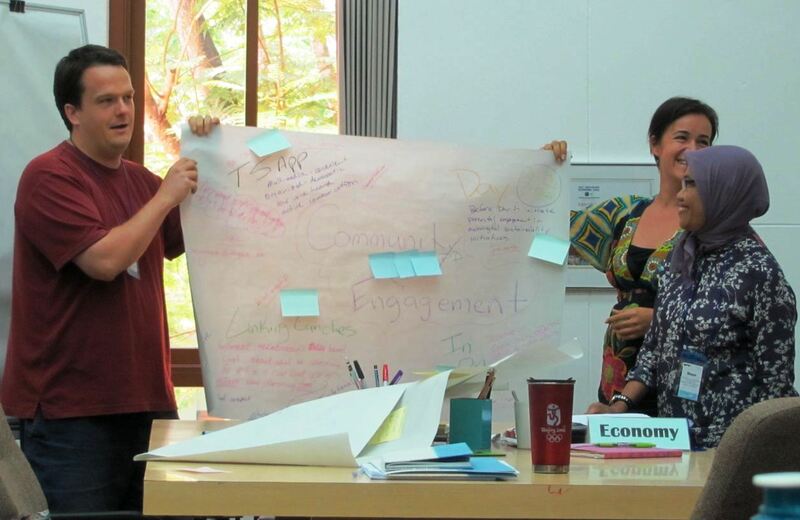 In April 2013 we held our sixth ‘Becoming a Compass School’ workshop on the campus of Traidhos Three-Generation Community for Learning, Chiang Mai, Thailand. This time, sixteen educators from Vietnam, Indonesia, Thailand and the Philippines participated in a four-day learning experience. The the main aim was to demonstrate a whole-school approach to sustainability in a real school setting and the use of Compass and the ISIS Pyramid to accelerate a school’s sustainability efforts. In addition, one full day was spent on use of the Sustainability Compass in classroom lessons and units, including visits to observe live classroom use of the Compass with Grade 2 and Grade 7 students. Participants were quite thrilled to interact with the students and find out what they thought about the Compass.